Montreal – October 1, 2018 – The Quebec Community Groups Network congratulates Coalition Avenir Québec leader François Legault and his party for their victory in Monday’s provincial election. “We are pleased that Mr. Legault extended a hand to English-speaking Quebecers, promising to work for the benefit of all Quebecers,” Chambers said, noting that Legault said he wants to make Quebec stronger within Canada. “My government will be your government!” Legault vowed. John Rae, Murielle Parkes & Olga Melikoff, and Hayley Campbell to be honoured. MONTREAL, September 24, 2018 – Four inspirational leaders of the English-speaking community are being celebrated by the Quebec Community Groups Network, with this year’s 10th anniversary of its Community Awards. Murielle Parkes and Olga Melikoff, known to many as the mothers of French immersion, and businessman John Rae are being honoured with QCGN’s 10th annual Sheila and Victor Goldbloom Community Service Award. Hayley Campbell has been chosen for the fourth annual Young Quebecers Leading the Way Award. 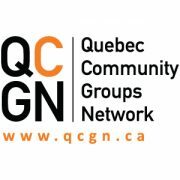 Montreal – August 14, 2018 – The Quebec Community Groups Network is pleased with the appointment of 11 committed community leaders to the Provincial Committee for the Provision of Health and Social Services in the English Language. The announcement was made Tuesday afternoon by Health Minister Gaétan Barrette and Kathleen Weil, the Minister Responsible for Relations with English-speaking Quebecers. These members were appointed following a new selection process outlined in amendments to the Provincial Regulation Respecting the Provincial Committee on the Dispensing of Health and Social Services in the English language, also known as the Provincial Access Committee. Candidates were recommended by the QCGN and the Community Health and Social Services Network (CHSSN). “We are pleased that this process led to a strong committee made up of English-speaking Quebecers who will be able to advocate forcefully in favour of the real and pressing need for English-speaking Quebecers to have proper access to health and social services in our own language,” said QCGN President Geoffrey Chambers, who was vice-chair of the selection committee that reviewed applicants. Montreal – August 14, 2018 – The government of Quebec has committed $6.9 million over three years in funding to community groups across the province, but the Quebec Community Groups Network would like other vulnerable communities and populations to eventually benefit from similar support. An additional $4.9 million is also being made available to support other organizations providing services to English-speaking Quebecers. Montreal – July 18, 2018 – The Quebec Community Groups Network congratulates Minister Mélanie Joly, who moves to Tourism, maintains the Official Languages file, and was assigned responsibility for La Francophonie. We also commend Pablo Rodriguez, the new Minister of Canadian Heritage and Multiculturalism. However, the QCGN is concerned that the cabinet shuffle blurs roles and may create confusion about who is responsible and accountable for Official Languages. “The Government of Canada has just made a major commitment to Official Languages through its Action Plan for Official Languages – 2018-2023: Investing in Our Future, so we are rightfully concerned about ensuring clear lines of accountability related to the coordination of its implementation,” said QCGN President Geoffrey Chambers. He noted that official language organizations are worried the shuffle will impede the rollout of additional resources allocated for Official Languages through Canadian Heritage. Montreal – June 16, 2018 – Galvanized following an upbeat two-day meeting, members of the Quebec Community Groups Network emerged energized and ready to defend Quebec’s English-speaking community on both the federal and provincial fronts. On the federal front, the hot topic was the new Action Plan for Official Languages 2018–2023: Investing in Our Future – Ottawa’s multi-million-dollar investment strategy to support official language minority communities, including English-speaking Quebec. The plan will provide an additional $57.37 million over five years to Canadian Heritage to boost core funding for official language minority organizations as well as a new dedicated fund of $5.3 million over five years for Quebec’s English-speaking communities.  Montreal – June 12, 2018 – The Quebec Community Groups Network (QCGN) applauds the priorities set forth in the Annual Report of Canada’s new Commissioner of Official Languages, Raymond Théberge. In his report released this morning, the Commissioner said he plans to keep a close watch on how the government coordinates and implements initiatives described in its Action Plan for Official Languages 2018–2023: Investing in Our Future and work to ensure that official languages and linguistic duality continue to be a fundamentally Canadian value and a national priority. Ottawa –May 28, 2018 – The Quebec Community Groups Network (QCGN) spoke up today as part of the Modernization of the Official Languages Act. “The Act is a lifeline for English-speaking Quebec,” QCGN President Jim Shea told a hearing of the Senate Standing Committee on Official Languages. “The Act is the only language rights legislation that protects the interests of English-speaking Quebecers as a community. It sets out quasi-constitutional rights for English-speaking Quebecers, including the right to access federal services in English, the representation of English-speakers in the federal public service, and those workers’ right to work in English.